Our work has led to a unique marketplace literacy educational program that tens of thousands of individuals have received in eight countries – India, USA, Tanzania, Uganda, Kenya, Argentina, Mexico, and Honduras through the Marketplace Literacy Project, a non-profit organization founded in concert with this initiative and other partners. 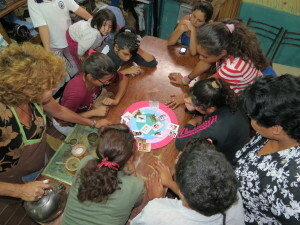 In Argentina, Francisco Seufferheld and Jeannine Koninckx combine marketplace education classes with family health and disease prevention education for people in rural villages near Mendoza City. They typically teach large groups of women and children, with mothers assisting in the classroom. Because Jeannine is a dentist, she provides free dental care to participants and their children at the end of each lesson. In the short time since the program began, some women have been motivated to start their own businesses. Two successful cases include one who designs decorative items made from recycled materials, and another who has begun a consulting service for women in need. Consumer and entrepreneurial education workshops are being piloted in a new program in Honduras. 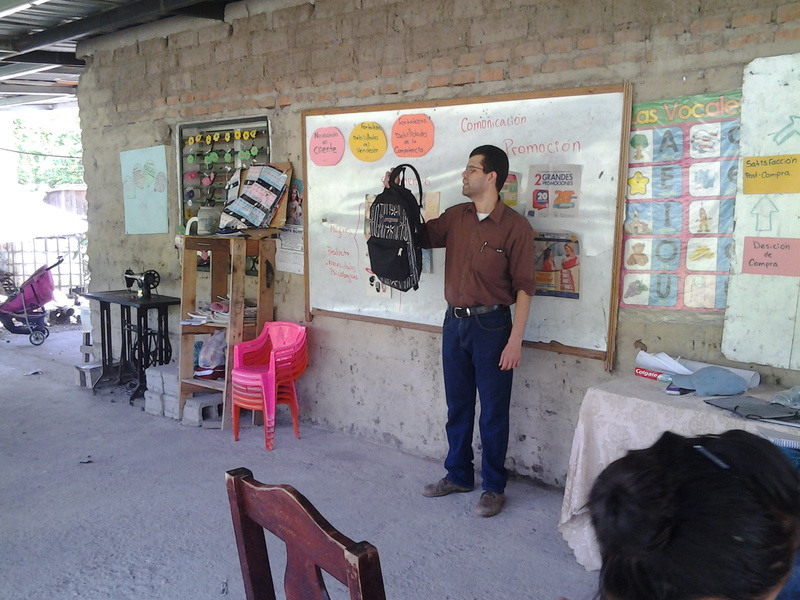 The instructor, Luis Chavez, was a student in Madhu Viswanathan’s Coursera course on Subsistence Marketplaces and has developed this program by working closely with village communities near the city of Siguatepeque. Dozens of learners of all ages, from middle school students to the elderly, meet on some weekends when most people do not have to work.Several students have enhanced their abilities as savvy shoppers and begun to develop ideas for new business ventures. Our work in Illinois through the Illinois Marketplace and Maker Literacy Program (IMMLP) centers around three locations: Champaign-Urbana, Chicago, and Southern Illinois. Programs in the Western and Southern Chicago suburbs have focused on marketplace and maker literacy workshops led by Philip Fairweather. Students are exposed to 3-D printing and the basics of maker literacy, then encouraged to think of a business they could start in that field. This leads into entrepreneurial education and the basics of starting a business, and how to understand customers. Participants who want to take the lessons further are encouraged to take advanced entrepreneurial or manufacturing training that can help them launch a new career. They are also invited to a family college program that teaches families how to work together to build a more environmentally sustainable future. Programs in Champaign-Urbana have centered on marketplace literacy classes at the Urbana Adult Education (UAE) Center and 3-D printing education at the Illinois MakerLab in the University of Illinois College of Business. The marketplace education classes, taught by Madhu Viswanathan and students of Entrepreneurs Without Borders, have been offered through UAE’s General Education program. They focus on consumer skills, entrepreneurship, and strategies for saving money through environmental sustainability. Aric Rindfleisch and Vishal Sachdev coordinate efforts at the Illinois MakerLab to teach hands-on 3-D printing workshops to learners of all ages throughout the Champaign-Urbana community, including youth programs for high school students and girls ages 7-10. Programs in Southern Illinois have been led by Ron Duncan in Anna, Vienna, and Marion, Illinois. 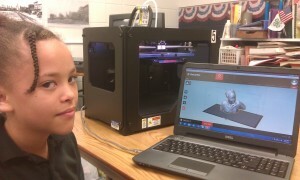 As in Chicago, students are exposed to 3-D printing followed by lessons in consumer and entrepreneurial literacy. Students have ranged in age from junior high and high school students to adults in continuing educational programs. A Marketplace Makerspace at a mall in Marion has increased the program’s visibility. A partnership with ITG3D has allowed us to reach the prison population and at-risk high school students; another partnership with the MakerGirls is allowing student entrepreneurs to reach out to girls to encourage them to get into STEM careers. Marketplace educational programs have been offered in the city of Chennai and in several rural areas in the states of Tamil Nadu and Andhra Pradesh, begun almost 15 years ago. In Chennai and in clusters of villages in Tamil Nadu, a partnership with Marketplace Literacy Communities (MLC Trust) has led to consumer and entrepreneurial education. 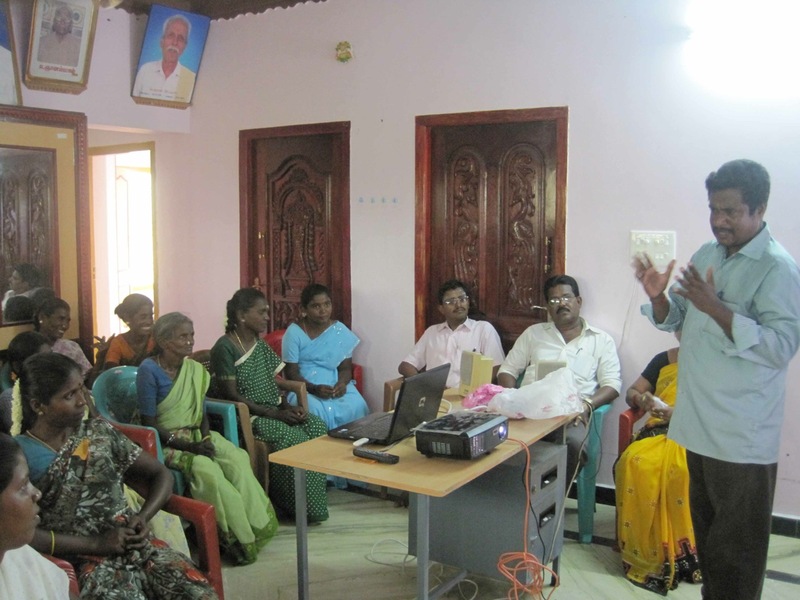 In Tamil Nadu, the Micro Business Education (MBE) program, developed through a partnership with Madura Micro-Finance Limited (MMFL), has led to a series of video-based lessons for groups of women in rural villages. The lessons use a movie about empowerment that was produced in India for educational purposes as a platform. In Andhra Pradesh, with help from the Byrraju Foundation, we have created a series of video-based episodes that a classroom facilitator uses to stimulate group discussions and presentations by students. With partners, marketplace literacy has reached about 40,000 women in South India. A small pilot effort has begun in Kenya providing marketplace literacy for refugees, partnering with the Xavier Institute and Beyond Refuge. Following piloting, our marketplace literacy program has reached hundreds of women in and near Monterrey, Mexico. The program is also reaching women who have been victims of domestic abuse and is based on funding from the State Department to the Marketplace Literacy Project. 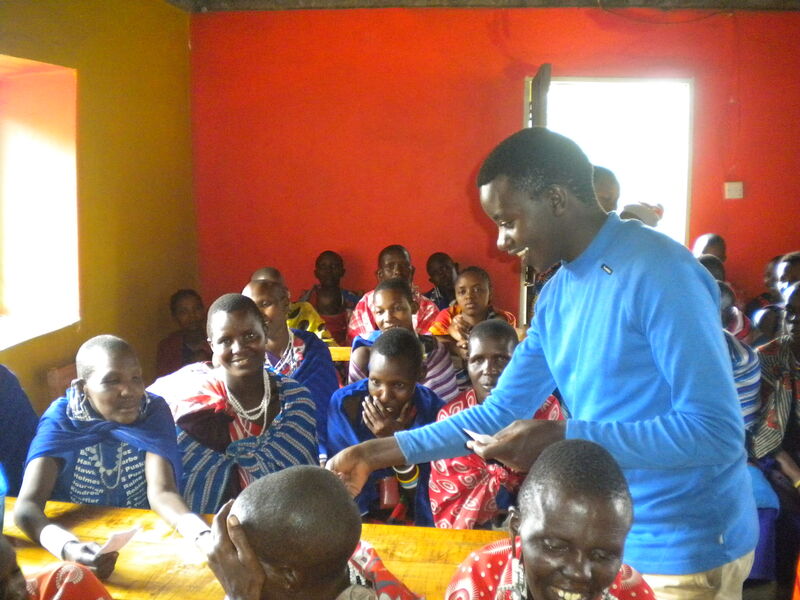 We have been working with Oikos East Africa (OEA) to teach consumer and entrepreneurial education programs in tribal Maasai communities in Tanzania. These programs have focused first on creating community-based businesses for women, then teaching consumer skills. 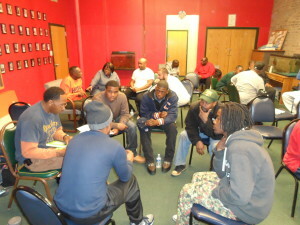 When repeat sessions are offered, some women come back to encourage new participants to attend and learn what they can. Many students in these programs have applied what they have learned to make their money go further and started businesses making jewelry and clothing to afford a better lifestyle for their families. Through a grant to Oikos and a partnership with MLC, India, we are in the midst of a program to take marketplace literacy to 5,000 women in eight parts of Tanzania. Consumer and entrepreneurial education workshops have been offered in Uganda to people in a refugee settlement in Nakivale with help from the Office of the United Nations High Commissioner for Refugees (UNHCR). A training workshop was first offered online via Skype by Madhu Viswanathan to trainers who themselves are refugees. Now, they are regularly offering the program to people in the settlement reaching hundreds of refugees. Our team has published a series of instructor’s manuals and script manuals designed to facilitate marketplace and maker literacy education programs in the United States. The manuals have been written in English and translated into Spanish. Information available on the project website. Working with the University of Illinois Cooperative Extension, the research was used to develop educational materials for the Food and Nutrition Program, currently employed for the EFNEP program (Expanded Food and Nutrition Education Program) in the state of Illinois. In contrast to existing nutritional education materials that are text-based and relatively abstract, we use pictorial representations and a close correspondence with marketplace interactions. The broad objective of such work is to systematically incorporate consumer literacy into adult education. The consumer context is an important arena where basic literacy skills play out in day-to-day life and the development of consumer literacy may in turn facilitate basic literacy. 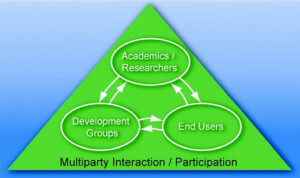 Relevant publication: Viswanathan, Madhubalan, and Roland Gau (2005), “Functional Illiteracy and Nutritional Education in the United States: A Research-Based Approach to the Development of Nutritional Education Materials for Functionally Illiterate Consumers,” Journal of Macromarketing, 25, 187-201. The Sustainable Development Virtual Knowledge Interface (SusDeViKI) is an online journal and international community for sharing refereed educational materials that are ultimately targeted toward low-literacy learners in impoverished settings to enable sustainable development. SusDeViKI aims to serve the exploding need to share learning and usable educational content being deployed by governmental and non-governmental entities and enterprises with a social mission around the world. A common criticism of education in the realm of sustainable development is the inability to “scale” or even learn from the many innovative experiments being carried out around the world. SusDeViKI is focused on addressing this challenge by reviewing educational content as well as supporting research that is submitted to the online journal and presenting accepted content in a usable form. 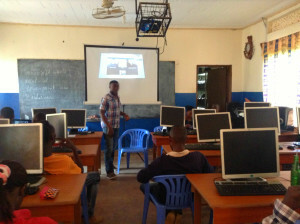 The larger purpose is to serve as a platform for refereed educational content that can then be used either as is or likely through customization in settings across the world. In addition to our UNHCR work in Uganda, SMI has been piloting and offering a course for UNHCR staff on Subsistence Marketplaces. Madhu Viswanathan served on the Livelihoods Advisory Board of UNHCR, 2014-16.